The Traders Point Christian Church (TPCC) is an expanding ministry serving the needs of families in the N.W. region of Indianapolis. Having relocated their facility from a downtown location to an expanding suburban area required the church to construct an entirely new campus facility. 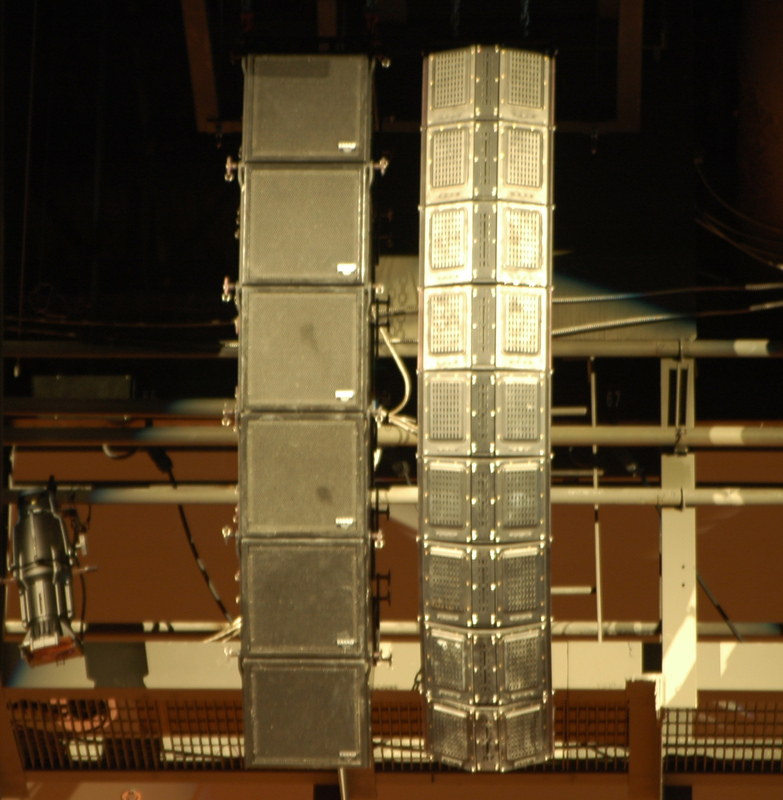 Sound Investment Enterprises (SIE) was retained as the acoustical and theatrical consultant and the audio, lighting, and video systems designer. Working with the architect and building engineers from the early design phases allow critical decisions regarding sightlines, ceiling heights, and interior wall shapes to be tailored for the appropriate room acoustics and optimal sound, lighting, and media systems performance. TPCC's experienced technical ministry team worked closely with Sound Investment in identifying desired functions and system capabilities that would eventually be needed throughout the facility. SIE prepared a Technical Systems Master Plan that specified all of the staging, media, and technology components along with preliminary budgets for each system. This Master Plan became the template for designing the campus infrastructure including the isolated power distribution, conduit layouts, signal distribution, structural loads, and space allocation. The initial building phase included the construction of a 2,700 seat worship center, a 300 seat student worship auditorium, an elementary school meeting room, a 100 seat wedding chapel, gymnasium, recording studio, and video production/control room. Installation of all sound and media systems in each venue was successfully handled by the church's audio and video team under the guidance of SIE's design engineer. To facilitate the weekly demands for meeting and performance space, the entire facility has a extensive network of audio, video, and data lines throughout the facility allowing events from any performance venue to be viewed anywhere on campus. 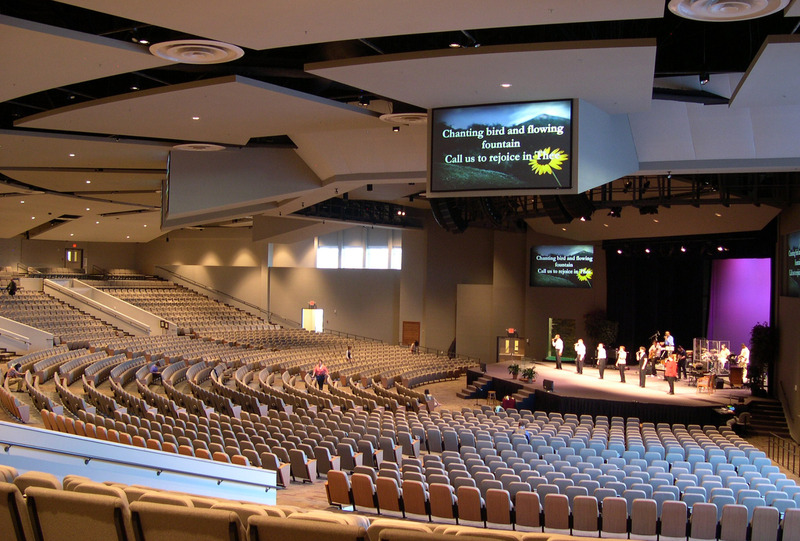 The Worship Center's technical systems and infrastructure allow the media team to configure the auditorium for a wide assortment musical and dramatic events. oversized back-of-stage loading door with truck dock and ramp.